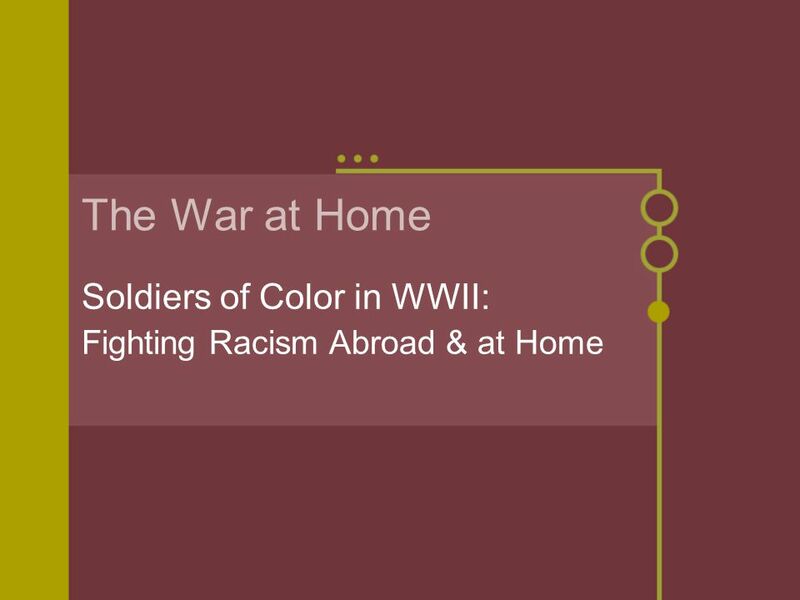 The War at Home Soldiers of Color in WWII: Fighting Racism Abroad & at Home. 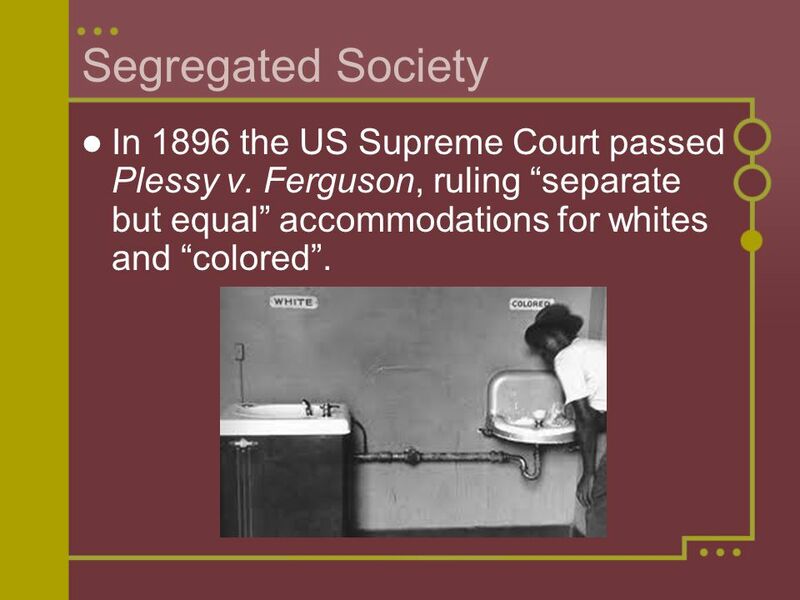 2 Segregated Society In 1896 the US Supreme Court passed Plessy v. Ferguson, ruling “separate but equal” accommodations for whites and “colored”. 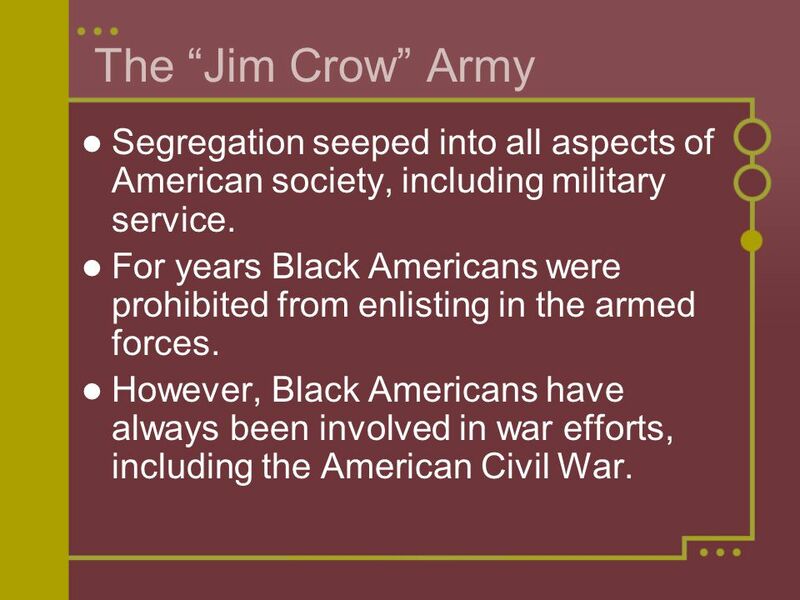 3 The “Jim Crow” Army Segregation seeped into all aspects of American society, including military service. 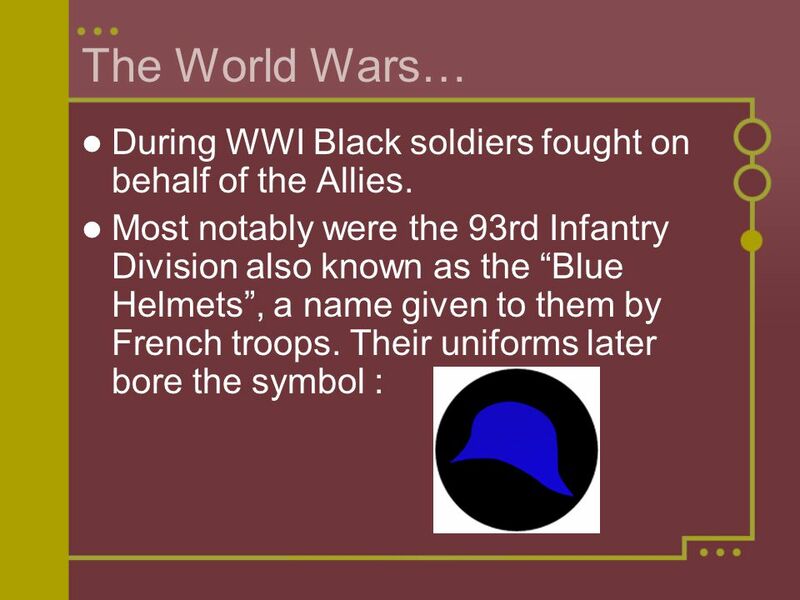 For years Black Americans were prohibited from enlisting in the armed forces. However, Black Americans have always been involved in war efforts, including the American Civil War. 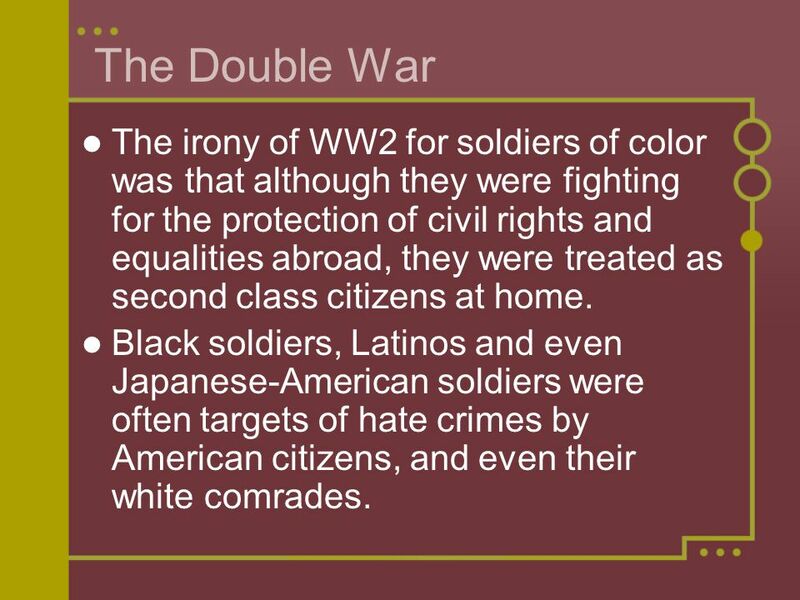 6 The Double War The irony of WW2 for soldiers of color was that although they were fighting for the protection of civil rights and equalities abroad, they were treated as second class citizens at home. Black soldiers, Latinos and even Japanese-American soldiers were often targets of hate crimes by American citizens, and even their white comrades. 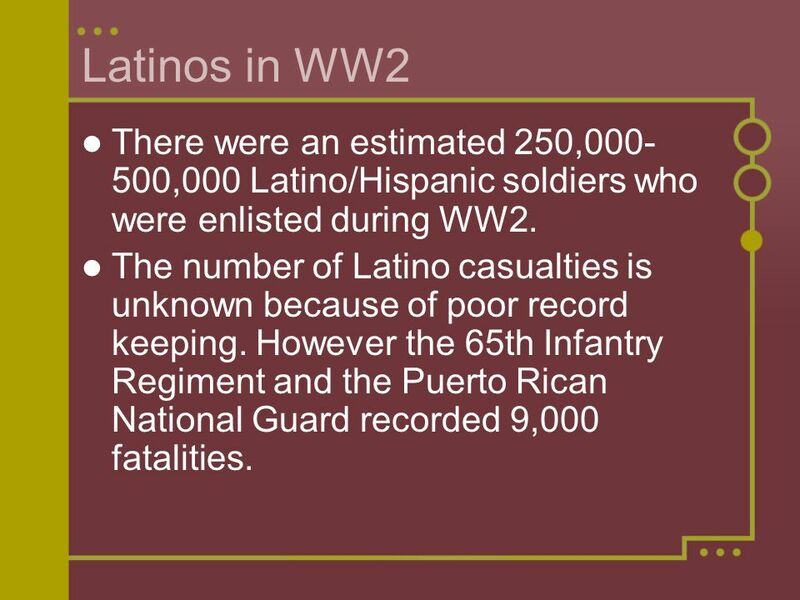 8 Latinos in WW2 There were an estimated 250,000- 500,000 Latino/Hispanic soldiers who were enlisted during WW2. The number of Latino casualties is unknown because of poor record keeping. 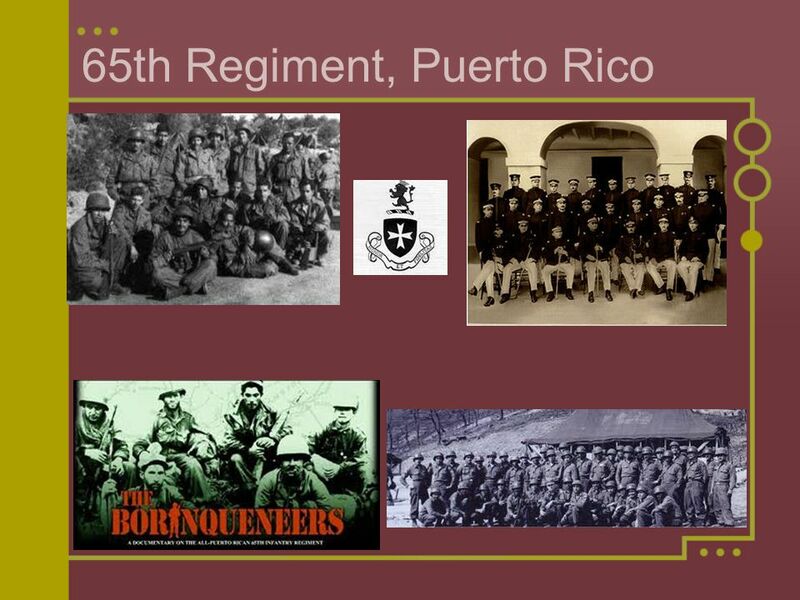 However the 65th Infantry Regiment and the Puerto Rican National Guard recorded 9,000 fatalities. 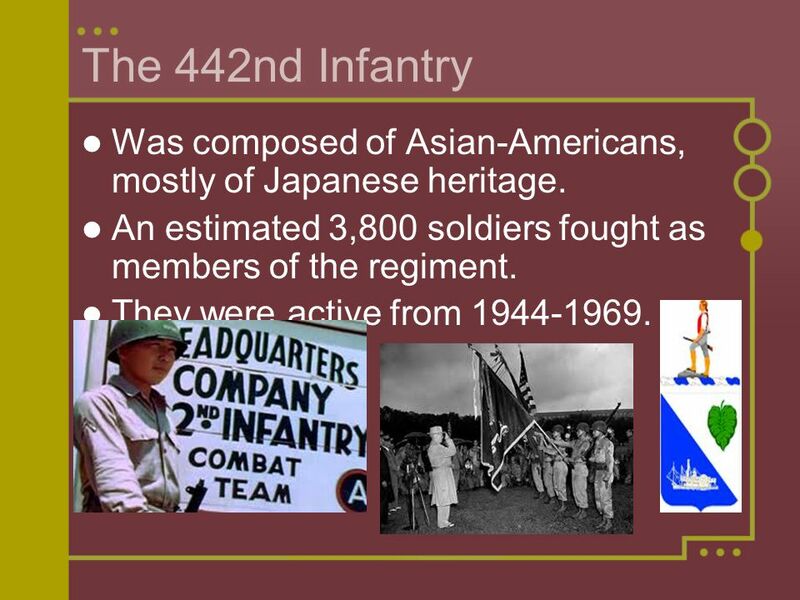 10 The 442nd Infantry Was composed of Asian-Americans, mostly of Japanese heritage. An estimated 3,800 soldiers fought as members of the regiment. They were active from 1944-1969. 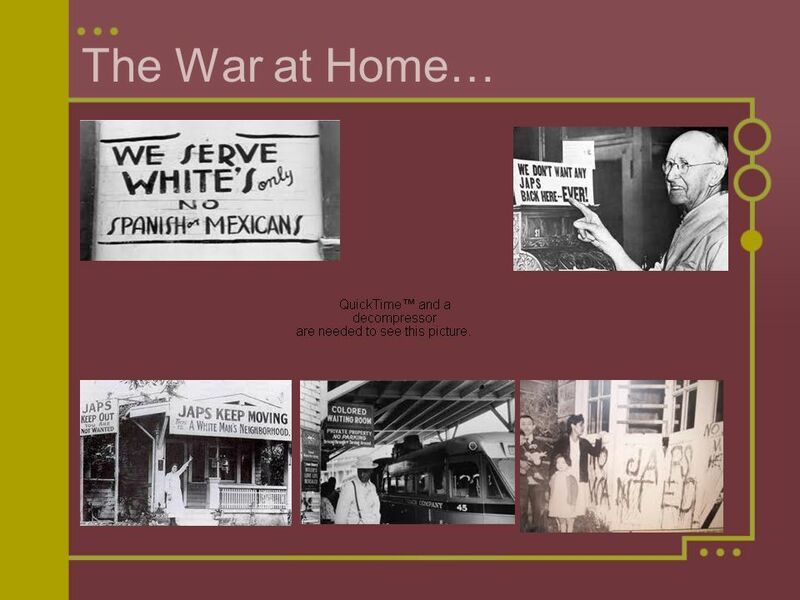 Download ppt "The War at Home Soldiers of Color in WWII: Fighting Racism Abroad & at Home." WWII Minorities, Women and The War at Home. 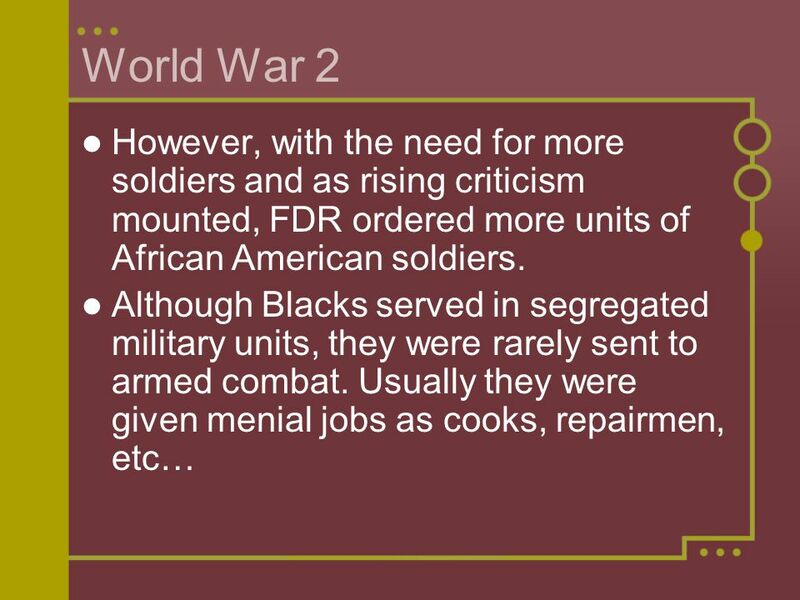 Minority Participation African Americans generally served in segregated units and were assigned to non- combat.  What are civil liberties?  How did the war affect the U.S. government’s position in protecting civil liberties?  civil liberty  –noun. Usually, civil. Within a few years after the end of Reconstruction in the 1870s, African Americans began to see many of their newly won freedoms disappear. Jim Crow Laws After the Civil War, Reconstruction protected the rights of newly freed blacks. When Reconstruction ended in 1877, the federal government. QOD 3/1 Why was the Brown v. Board of Education decision so monumental? Warm-Ups 02/18 These need to go in UNIT III Warm-Ups Section What Supreme Court decision stated “separate but, equal?” What Supreme Court decision decided. Chapter 21 Civil Rights: Equal Justice Under Law. President Truman Integrates the Armed Forces By Mr. Lane.  Feature film produced by George Lucas The Tuskegee Airmen, who flew combat missions in World War II, were known by the nickname “Red Tails” for the. The Civil Rights Movement Gaining rights for African Americans. This presentation was adapted from Equality: Are Some More Equal than Others?